Street Fighter V: Arcade Edition will launch as a standalone title on January 16th, 2018 for $39.99. 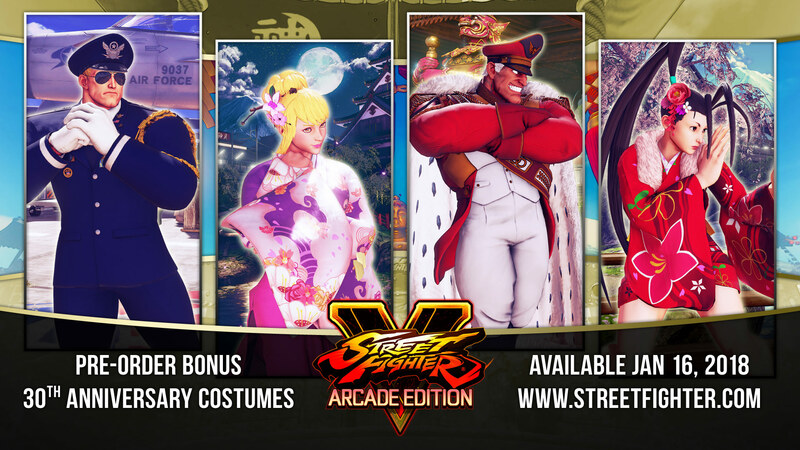 Capcom announced that by pre-ordering Street Fighter V: Arcade Edition, players will automatically gain access to the Nostalgia costumes pack (featuring 5 classic costumes) and the 30th Anniversary costume pack (featuring 4 costumes). These excellent costumes may actually "sweeten the deal" for any fans looking to try out Street Fighter V's "fresh start" in 2018. *Also worth mentioning, most of these costumes contain cool Easter eggs / alternate versions when holding down specific buttons on the Versus screen. 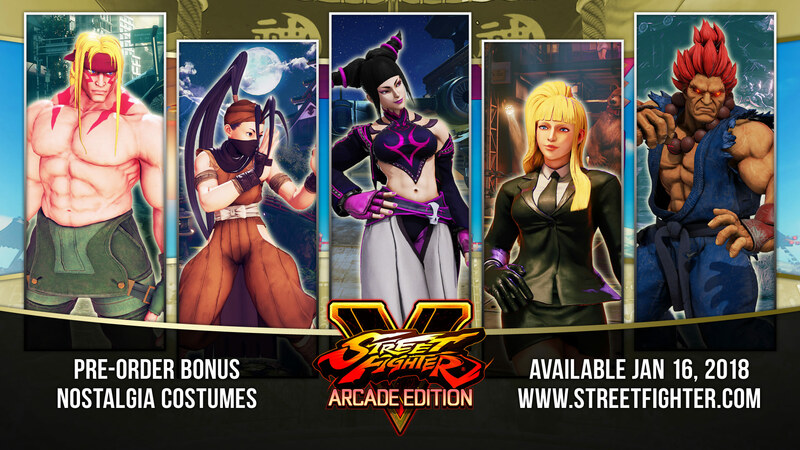 Capcom also just released new "Sports" DLC costumes for Kolin, Zangief, and Karin priced at $3.99 each. You can check out some additional screenshots of the costumes over at Capcom Unity's blog. Stay tuned on FightersGeneration.com for full coverage of SFV: Arcade Edition.